The neocons despite the disastrous Iraq War and other harm they have caused remain influential in Official Washington, given time on talk shows and space on op-ed pages to expound on their latest dreams of American intervention in the Middle East. But ex-CIA analyst Paul R. Pillar asks, why are they still listened to? Recent attempts by adversaries of President Barack Obama to blame him for yet another undesirable circumstance, in this case, popular outrage in the Middle East over an anti-Islam video, remind us of one of the oddest aspects of discourse in the United States about foreign and security policy: that the same people who not too many years ago inflicted on us the Iraq War are still part of that discourse. They get air time and column space, and evidently at least somebody seems to be listening to them. One mistake should not condemn someone to silence, but we are not talking about just any old mistake. The Iraq War was one of the biggest and costliest blunders in the history of U.S. foreign relations. The human and material costs, including an ultimate fiscal and economic toll in the multiple trillions in addition to the political and diplomatic damage, have been immense. Moreover, promotion of that war demonstrated a fundamental misunderstanding of fault lines in the Middle East, political culture in the region, the nature of political change there, the roots of enmity and security threats toward the United States, and the limitations of U.S. power and especially military power. There is no reason anyone should pay one iota of attention to what the promoters of that war have to say today on anything related to those subjects. And yet those are the very sorts of subjects, often with particular reference to countries such as Iran, Syria and Libya, on which neocon promoters of the Iraq War expound today. Probably one reason it has not has to do with the evolution of the larger U.S. political system and especially of the Republican Party. The near-extinction of moderate Republicans has been reflected not only in positions on domestic policy but also in neoconservatism having become the dominant default ideology of Republican foreign policy. This sort of attachment to one of the two major political parties has sustained the neoconservatives, who based on their record are the ones who should have gone extinct. The attachment to a major party has further effects. It means neoconservativism is viewed not as a fringe but as part of the mainstream. It means those (especially those with significant money) who favor Republican victories (for whatever reason, even if foreign policy has little to do with it) have reason to help sustain neoconservative voices. Moreover, in the dumbed-down, sound-bite world of partisan politics, some favorite neocon themes, assert American power, propagate American values, etc., sound appealing. 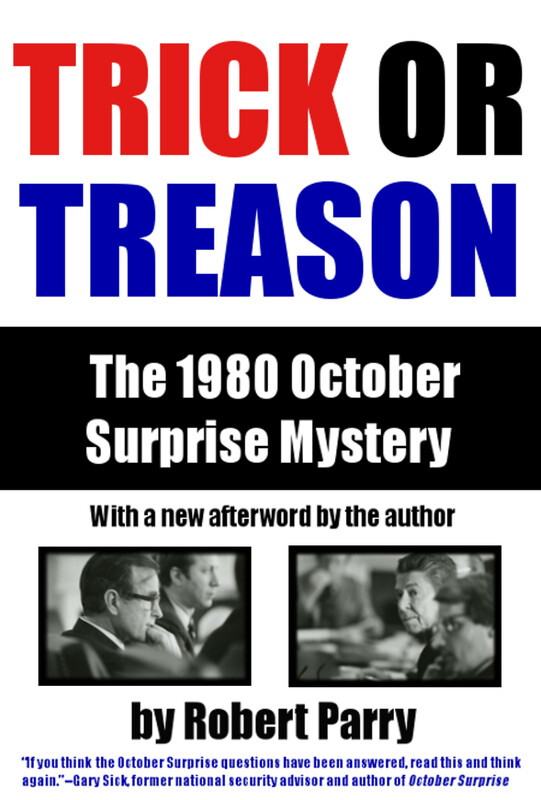 The success the war-promoters had, with an energetic sales campaign amid a post-9/11 political milieu, in getting many Republicans and Democrats alike to go along with their project has lessened the inclination to call the neocons fully to account. Those who went along at the time do not want to be reminded of that. There has consequently been a blurring of the distinction between the promoters and mere followers. When Paul Wolfowitz was on Fox News the other day to join in criticizing the Obama administration for its “apologetic posture” toward the Muslim world, the host introduced him as “one of the people who believed that we needed to go to war with Iraq,” as if he had been just another congressman who voted for the war resolution. He instead was perhaps the most fervid promoter of the war in the Bush administration, showing no compunction about whatever it took, including fabricating a supposed alliance between the Iraqi regime and al-Qaeda, to muster support for the neocons’ long-sought invasion. The way the war was manned, with the all-volunteer military, and financed (or rather, not financed) has obscured the costs and thereby further muted any demand to call the neocons to account. All the posturing these days about the deficit makes it easy to forget how much this completely unfunded and expensive war of choice contributed to ballooning of the deficit during the Bush administration. The political costs of the war within the Middle East, such as the exacerbation of sectarian tensions and expansion of Iranian influence, also are not the sorts of things that by their nature will hit the average American squarely in the eyes as what the neocons had wrought, even though they are very much that. Then there are the conscious efforts to get Americans to forget about certain recent past experiences including the Iraq War. The war is one of two big things, the origin of the Great Recession being the other, that have led George W. Bush’s own party to regard him during the current election campaign as He Who Must Not Be Named. An appropriate response to any expounding by neoconservatives today about policy in the Middle East is to issue reminders, loudly and often, about their recent record there. ← Did Anti-Muslim Film Cross Legal Line? Why does Pillar overlook the genocidal sanctions and bombings inflicted on Iraq throughout the 90s? Did President Clinton, a Democrat, also “misunderstand” the fault lines? Why not acknowledge the bipartisan project of imperialism? “One is likely to be called a conspiracy theorist, not only if one believes that ruling-class leaders sometimes use conspiratorial methods, but if one thinks there is even such a thing as a ruling class that seeks to maintain hegemony. A critical study of David Rockefeller’s Trilateral Commission concludes, “A conspiracy on the part of certain members of the international ruling class is not being suggested here, but rather that many of these people, who have a great deal of influence, are consciously making efforts to guide and control the direction of the world’s political and socioeconomic system in their class interest.” But any assertion that a ruling class tries to direct the system for its own interests is, by definition, considered a conspiracy fantasy in mainstream political discourse. In this broader sense, “conspiracy” refers to something more than just illegal acts. It serves as a dismissive label applied to any acknowledgment of ruling-class power, both its legal and illegal operations. Another theory of innocence is what might be called “spontaneity theory,” or “idiosyncrasy theory.” Stuff just happens. 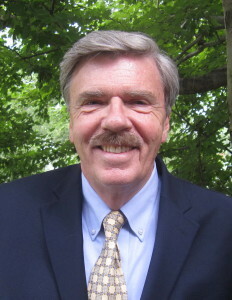 … , those who embrace theories of innocence would have us believe that unjust social arrangements, malevolent acts, and wrongful policies are the outcome of momentary aberrations, human folly, incompetence, happenstance, isolated and deranged individuals, innocent cultural proclivities, and unintended consequences. To be sure, such things do exist, but do they explain every major development in public life? Evidence and common sense suggests something else: the rich and powerful are not oblivious to their interests and no more stupid than the rest of us…. Nothing said here is meant to imply that ruling-class leaders are ‘infallible or omnipotent. Like many other people, they may overestimate their problems. They sometimes are unsure or divided about particular tactics. They occasionally are stymied by the unintended consequences of policies, by angry public reactions, and sometimes the need to maintain legitimating democratic appearances. But if they do not always succeed, they succeed often enough. 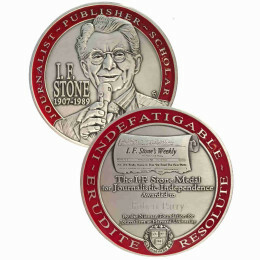 They are far from infallible, but they have a plentitude of resources to minimize their losses when mistakes are made. They may not be omnipotent, but they are enormously powerful. And at times, they will put aside democratic restraints and apply the same naked state-oppression as might any dictatorship. Whatever the limits of their power, they are as involved in class struggle as any communist. Israel is a State not a religion. Israel is a country made up of Jews, Mulsims Christians and other faiths. So to suggest that critical comments about the State of Israel is somehow anti-semetic is not just false logic it is a flat out lie. Unless of course all of those supporting A Jewish only state are stating that the millions of non jews in israel are sub human and therefore don’t count……In fact this is exactly what the statement that being critical of the State of israel is anti-semetic means. Which in turn makes all those people racist bigots not to mention down right evil. Telling the truth isn’t anti-semetic either. And the fact remains that zionists inside the US government have a stranglehold on US foriegn policy that is in lock step with israel to the detriment of US interests and those of the American people. And this people is called treason. Paul R. Pillar asks, why are they still listened to ? I want to ask why are they not in prison for war crimes & treason ? War propaganda & blatant lies 24/7 yes lies by highly placed Jewish American neocons such as Wolfowitz et al. “we would be welcomed with flowers” they even told dumbed down Americans. All the lies together with a false 9/11 Iraqi & Alquieda connection etc etc was a massive neocon success. Joseph Goebbels turned in his grave as a repeated succession of lies 24/7 were “believed”. 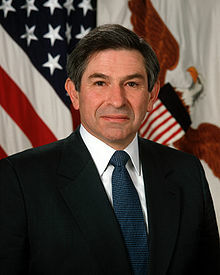 For fear of career ending antisemitism there was never a questioning of Wolfowitz’s ludicrous assertions & only now can we openly refer to the complete murderous debacle that was Iraq. Yes the US brought a holocaust to Iraq terminating in the invasion of Iraq. Iraq was a main supporter of Palestinian rights & Israel’s arch enemy. Could or should anyone dare to “connect the dots” ? Why are they listened to? Because they have real power: These “gentlemen” are the visible surface of a deep insider network in the military, intelligence, defense contracting and pharmacorp communities. Among them they influence or control key officials and advisory groups in the sphere of covert operations, and in the corporate world, they are directly involved in the the allocation of billions of dollars in economic assets. When apologists for Our Mr. Obama whine that he is powerless to change “the system” in Washington that is holding him back, remember that the NeoCons are very heavy operators in that “system.” They report to key factions among the real owners of the United States, that is, the top 0.015% in terms of personal assets and family incomes. Love them or hate them, one must pay attention to the NeoCons and their ilk. Very insightful and well said. Also, very scary that the NeoCons are so deeply embedded in the system. Wolfovitz was of of the instigators of the infamous “Clean Break” advice to Netanyahu in 1997 (ie advice to a foreign leader). It is much too kind to claim the Iraq War was a blunder; it was a deliberate decision made in spite of all evidence. Saddam Hussein was never a supporter of extremist Islamism, and Sunni/Shia marriages were common in Iraq. As in Libya and Syria, it is the secular leadrs who are targeted, not extremists like our friend Saudi Arabia. Paul’s piece reminds me of those that seem to think Obama is personally responsible for the $16 trillion of debt. Well, the Bush tax cuts cost $3 trillion; lying us into Iraq war cost $1 trillion; the total incompetence of the prosecution of the Afghanistan War is closing in on another trillion (by total incompetence I mean Al Qaida was cornered on Tora Bora, and we did not send in enough men to do the job; we watched one escape route, and AQ took another). The feckless war on drugs has cost a trillion. That is $6 trillion so far. I do not know how much the unfunded Medicare doughnut hole cost. At the behest of Rubin, Greenspan, Summers, Bill Clinton signed the repeal of Glass-Stegallâ€”that’s on Clinton, but it was a Republican policy; the objections came from the Democrats (Republicans took the teeth out of the Dodd-Frank bank reform setting us up for another fall). Johnson lied us into Viet Nam, and one of the upshots was a volunteer army, so potential draftees would never take to the streets again. The vets now get over $40K/mon, and how many are in uniform these days? We now have tremendous expenses taking care of the wounded and perhaps most have received no help. How many broken families, single parent families, etc.? How much for Homeland Security? How much for the prison system? Eleven million jobs lost, thanks to the banks, with tremendous loss of tax revenue. Close to a trillion dollar bailout for the banks. Close to a trillion dollar stimulus that would not have been needed were it not for the banks. CEOs outsourcing jobs, including Mitt., which further reduces the tax income stream. Companies setting up ‘headquarters’ in other countries to avoid taxes. How much in unemployment insurance had not the banks lost the 11 million jobs. You want them to starve? And if the Republicans had avoided these mistakes, our debt would be quite manageable. I am just guestimating. I’d like to see the real figures, but the point is that Obama has very little to do with the vast amount of the debt. I have other serious problems with Obama, but not the debt. Can you blame them? The neocon talking heads are a festering sore remaining from the Bush nightmare. That’s exactly what I’ve been thinking recently. Why the hell would anyone listen to these people after 35+ years of them lying, exaggerating, and making blunders of Biblical proportions. Wolfowitz, Perle, Abrams, Kristol and all the others do not deserve anyone’s trust and should be kept as far away from the levers of power as possible. Unfortunately, they will all be right back in power after Rove steals the November election for Romney. Why DO we listen to his idiot’s anti-Semitic ravings?? ?